Here's a great bib!! Beautiful colored towel bib and stretchy neckband organic knit - perfect size for toddlers and young babies. 11" wide by 17" long - generous size to absorb messes. Sturdy construction for plenty of use. Just toss in the machine and reuse over and over again. 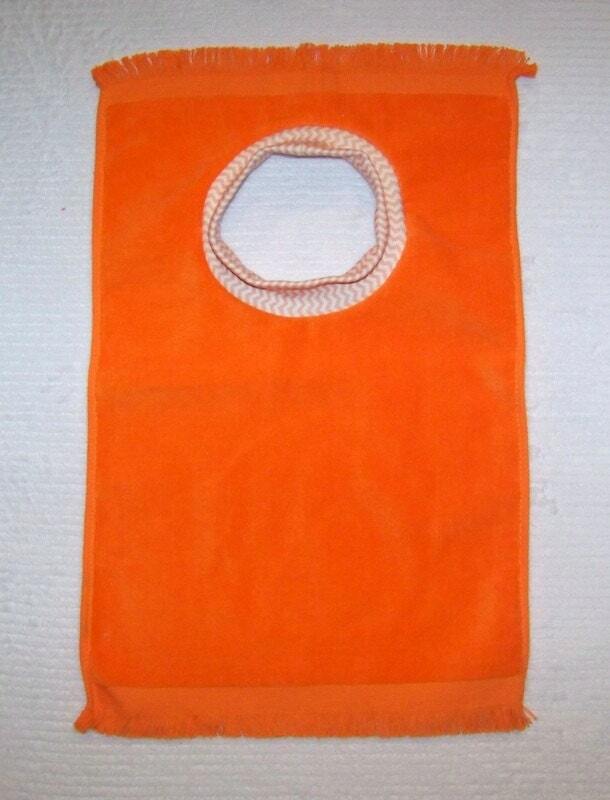 Bib is 100% washable and dryable. 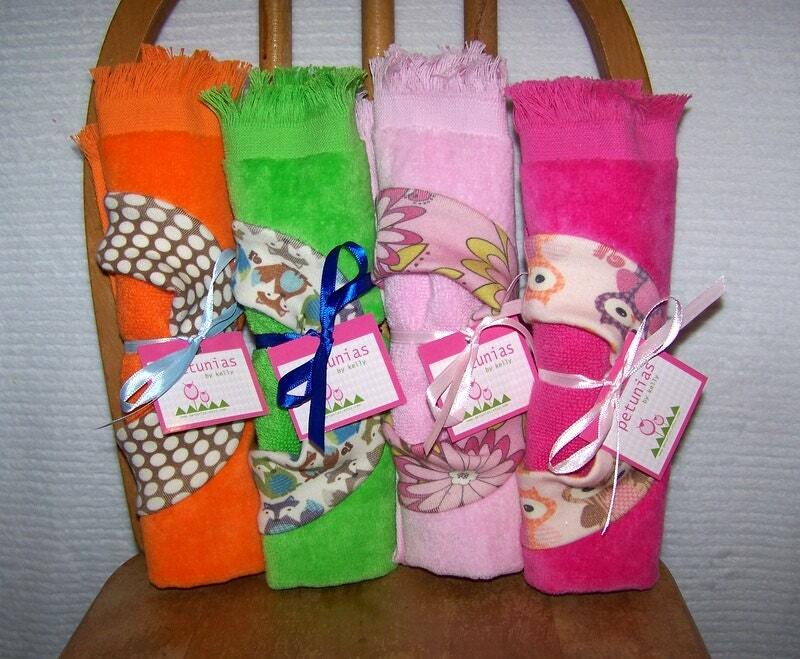 Great baby gift or shower gift! Comes nicely packaged with hang tag. 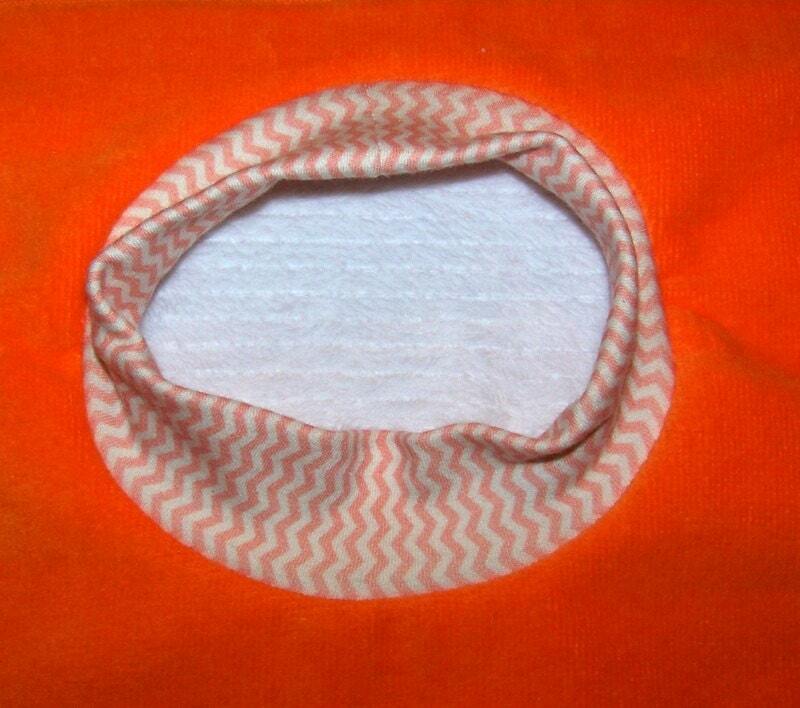 This bib is orange with orange chevron knit.